We recently learned of this exciting effort to use oysters to reduce nitrogen loads in a Cape Cod town's waters. This is an approach we have been advocating for some time as it offers an environmentally friendly way to reduce nitrogen. Importantly, the oysters are most active in the summer time when the population is highest. It will be exciting to see the result. The surface of Lonnie's Pond will soon look as smooth as slate-colored silk; the 200,000 oysters that floated on the surface of the water in bags all summer will be replaced with occasional reflections of the bronze-leaved trees on the shore. Now the waiting begins. The oysters, which will be placed on the bottom of the pond by researchers, will lay virtually dormant until March when they will begin once again to devour the nitrogen that helps turn the once-clear pond into a murky green. But for those on land the end of January is a more significant date. That is when scientists from various institutions, including UMASS's School of Marine Technology, will have crunched the numbers and filed a report that could change the future of wastewater management in Orleans. If the oysters have removed enough nitrogen then the second phase of the pilot project will begin and several other projects in town, which have aquaculture at the center of pollution abatement, will likely move forward. "What we want to get to is: What is the cost per pound of nitrogen removed?" Selectman Alan McClennen said. Close to 300 kilograms - 630 pounds - of nitrogen a year need to be removed to meet the state-mandated total maximum daily load limit. If the oyster project shows that oysters can make a difference, at a low cost, the town will move into the next phase. The second installment of oysters in the pond could reach 1 million animals and the numbers from that pilot, along with the work done this summer, would be used to help convince state regulators from the Department of Environmental Protection, to let Orleans skip pipes in the ground - at least on Kescayoganset and nearby roads. "The existing comprehensive wastewater management plan says we are going to sewer Lonnie's Pond, we are trying to avoid that," said McClennen at a recent meeting of the Orleans Water Quality Advisory Panel. Although it's hard to run the numbers, particularly since the oyster pilot program is still ongoing, 7-year old Autumn, who has been at the pond frequently with this reporter, thought $500,000 to remove nitrogen, compared to millions for even a small sewer system seemed to make sense, particularly since it can cost up to $600 per pound for small sewer plants to remove nitrogen. She is willing to bet on the bivalve for the moment. There are some questions over whether the oysters are going to be enough - some have said it would be cheaper and easier to just remove the sediment at the mouth of the pond to improve tidal flushing, and thereby water quality. There are also questions about what the next phase will look like - the initial work relied on larger than typical oysters from Falmouth, volunteer work, consultants, and paid local shellfish growers. In the future the project may be done with town staff, by private growers, or some other scenario. Although questions remain, what is clear, said Sia Karplus, of Sciencewares, which is in charge of the project for the town, is the oysters are growing well. Oysters that arrived as the size of a cornflake are now well on their way to the size of a flattened mini muffin and those that were thumb-sized look more like a fist. Eric Karplus, also of Sciencewares, was down at the 15-acre pond late last month, on an unseasonably warm - albeit still raw - day. He, as he did once a week, with the help of growers from Peter Orcutt's Pleasant Bay Oyster Farm, had taken some oysters from the 800-bag raft in order to weigh and measure them. "These guys are growing like gangbusters," he said. "We came in with a few thousand pounds and now we have 10 tons of oysters out there." Karplus said that amount of growth isn't typical, but there is a lot of food out there for them to eat. Part of the reason for the buffet is because the pond is one of the most impaired in town - like ponds all over the Cape it is suffering from nitrogen pollution coming mainly from septic systems. Since the growing season had ended, this was the last day Karplus would be taking stats at a makeshift table by the shore. He was already in the process of putting the oysters on the bottom of the pond, in a contraption that will keep them off the mucky bottom, for the winter. "It is really important to store them in a way that they continue to feed," Karplus said. If the oysters were smaller they could have been taken out of the pond to overwinter in a storage facility, but with larger oysters he said the chance of mortality was too great. The reams of water quality data collected from several long-standing sampling stations, and also gathered from instrumentation set in the pond by SMAST will be correlated with the information gathered from oyster measurements that Sciencewares has taken. But as Karplus tipped over a bucket of oysters and saw the size of the shellfish tumbling out he was encouraged. "The only way the oyster grows is they are taking nitrogen out of the pond," he said. We have provided excerpts of a wonderful article about a new oyster restoration initiative we found on a National Geographic site. It discusses how a distillery is working to restore oysters to Dornoch Firth. Those of you who have enjoyed golf and whiskey in the area will soon have a reason to return- OYSTERS. Divers who have explored the reefs of the Firth agree that the European flat oyster thrived in these waters for thousands of years, as it did all over Europe. But in the 19th century, overfishing and disease essentially crushed the species. This left the population without a valuable food source and the water without a powerful natural purifier. In a research and action partnership unlike any other currently underway, Glenmorangie is collaborating with the Marine Conservation Society of the United Kingdom and Heriot-Watt University in Edinburgh to bring back the European flat. The Dornoch Environmental Enhancement Project, or DEEP, aims not only to preserve the current diversity of marine life in the area, but also reintroduce the once-teaming bivalve. The virtual disappearance of the European flat oyster in Europe is the story of “death by a thousand cuts,” says Heriot-Watt Associate Professor William Sanderson. “The most significant and deepest initial cut in any one area was probably … the industrialized extraction of wild oysters. In the late 1800's, particularly in the UK, we were building the infrastructure, by way of the steam train, to transport oysters and serve them to large urban markets. 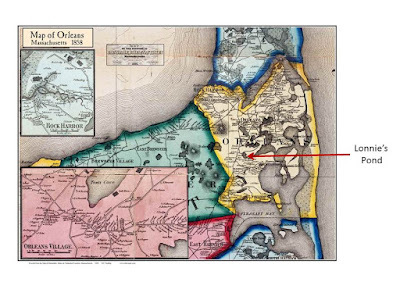 By the mid-to-late-19th century, most local oyster populations were gone,” he says. European flats like this one have all but been wiped out in the wild on the continent, but the DEEP program aims to restore them to the Dornoch Firth. 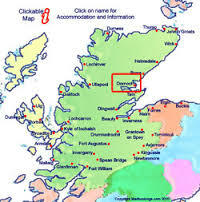 To a significant degree, DEEP is an effort to mitigate the impact of the distillery on the Dornoch Firth. The water of Glenmorangie’s own Tarlogie Springs is where its Scotch whisky process begins and, ultimately, what is not distilled and committed to casks is dumped into the Dornoch Firth at the end of production. 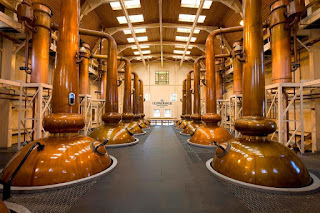 Glenmorangie is just months away from the launch of an anaerobic digestion plant, which it expects will remove as much as 95 percent of the chemical oxygen demand of the distillery’s organic waste. The methane gas produced by the process will be cycled back to the distillery as an energy source, reducing Glenmorangie’s carbon footprint. 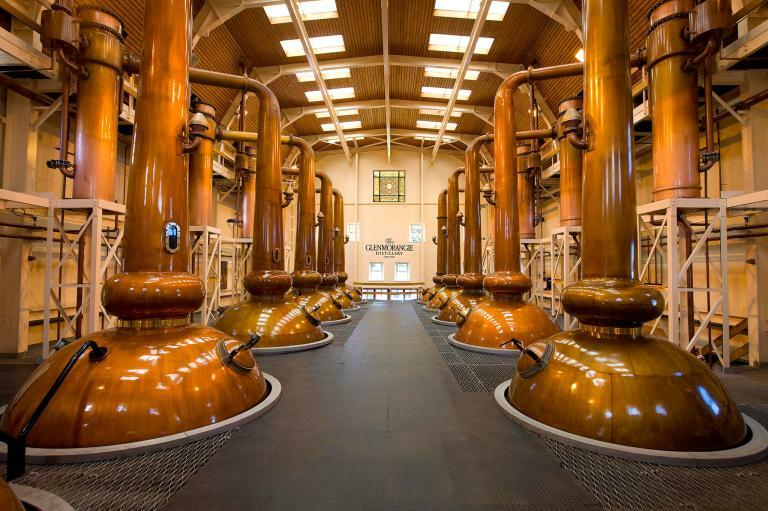 Once launched, the Distillery will see an immediate energy saving of 15 percent, says Hamish Torrie, director of Corporate Social Responsibility for Glenmorangie. What remains of the processed materials, which once went out to sea, will now go to the barley farmers of the region to enrich their soil. The process of restoring oysters is fragile, particularly with finicky European flats, and there are no guarantees that it will work. But scientists say there’s no dispute about the worthiness of the effort. "Oysters bio-filter like crazy. Depending on the density of the population, they could really clean up the water,” says Richard Shaw, of the College of the Coast and Environment at Louisiana State University, who is not involved in the project. In addition, “the oysters will be the perfect sentinel to test the water quality,” he says. In the United States, efforts to restore water quality and the oyster population are percolating everywhere (see From Oysters to Kelp, the Evolution of Aquaculture). Today the Dornoch Firth is alive with a diversity of wildlife. “There are very few modern day pressures in the system,” says Sanderson, “and it is rightly famous for its wildlife, including seagrass, mussels, birds and seals.” What it’s missing in the humble yet powerful oyster. This post is excerpted from an article that was initially published on MyEasternSHoreMD. 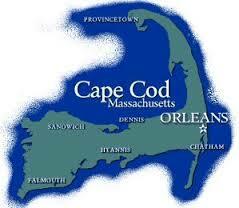 It is of note as Massachusetts has the opportunity to create these estuaries in closed waters in protected places. Boston Harbor has a coastguard base, the Constitution is very well protected and there are a host of other sites along our lengthy coastline. We could do a lot with even a modicum of support or even non-interference from the Massachusetts Division of Marine Fisheries. It wasn’t the kind of official sanctuary over which Maryland’s oyster harvesters are wrangling with scientists and environmentalists — the harvesters would wanting more area to collect from, others wanting the benefits to the Chesapeake Bay’s water quality and the habitat of an undisturbed oyster reef. Some of it, like the U.S. Coast Guard docks where we intruded, is on the York. The bulk is just south on the lower James River, home to the world’s largest naval force and related private industries. It’s a mammoth amount of waterfront infrastructure, and a lot of it is “just wrapped up with oysters,” said Rom Lipcius, one of the Virginia scientists on board our crab survey cruise last winter. Scientific curiosity led Lipcius to sample oyster densities on just a few concrete piers. Based on that, he said, a “back-of-the-envelope” estimate indicates there might be as many as 6 billion oysters in such de facto refuges. Pollution had closed the Lafayette to shellfishing for so long — since 1934 — that no one realized reefs were prospering there. Lipcius thinks the state will designate them as sanctuaries. This is perhaps wise: The Lafayette is getting cleaner, and recently reopened to recreational uses. We attentively monitor the presses for interesting pieces on oysters and oyster population management and then read them voraciously. Time constraints have prevented many of them from reaching this blog as they wind up on our Facebook page. The article below is excerpted from a piece published on TCPalm by Treasure Coast Newspapers. We liked it as it discusses how oysters handle an environmental assault and how engineers are working to manage the assault from Lake Okeechobee to protect the oyster population downstream in Stuart Florida. STUART — Vincent Encomio expected the worst last week as he waded out to oyster beds in the St. Lucie River. After all, the 2013 Lake Okeechobee discharges, which dumped 136.1 billion gallons of polluted water into the river over 166 days, wiped out the oysters along Stuart's Riverwalk. And this year's discharges stretched over 279 days and totaled 220 billion gallons. Encomio, director of scientific research at the Florida Oceanographic Society in Stuart, figured the oysters that had repopulated the beds since 2013 didn't stand a chance. "It was amazing," Encomio said. "I picked up a cluster of shells and found live oysters; quite a few of them in fact." Based on what he saw, Encomio estimated at least half the oysters along Stuart's waterfront survived the onslaught from Lake O.
Oysters naturally thrive in the St. Lucie's somewhat-salty water. But extended discharges that wipe out the river's salinity can wipe out the oysters, too. The rule of thumb is that oysters can survive about a month of salt-free water. Making matters worse, the sediment carried by the discharged water — about 54.7 million pounds of it from Lake O this year — clogs the filters oysters use to feed. Oysters can close up to keep the sediment out and then starve to death.So why did oysters fare so well in this year's onslaught? During much of this year's discharges, the Army Corps of Engineers released Lake O water in "pulses" designed to mimic the natural flow of water through the river after heavy rains. The flow rate is high during the first part of the week and dwindles to two days of no discharges at all. Over the 279-day span of this year's discharges, there were 24 no-flow days. "Those stoppages, even though they were just a couple of days each time, really helped," Encomio said. "They might have been enough to keep oysters alive." The breaks allowed incoming tides to wash oyster beds in the downtown Stuart area of the river with salty water, much like the oysters got closer to the inlet. Also, although 2016's discharges lasted longer, 2013's were more intense. "In 2013, the discharge rate was really high," Encomio said. "They shot up in mid-July and stayed high until September." The high flows coming down the river in 2013 kept tides from coming up the river; lower flow rates in 2016 allowed some salt water to reach upstream. Freshwater is lighter than saltwater, and the light freshwater flowed downstream on top of heavier saltwater, which pushed upstream on the bottom of the river — down where the oysters are. Encomio's findings could lead scientists to encourage the corps to use pulse releases and lower flow rates in future discharges. "Our stance is still that there should be no discharges at all, that excess Lake O water needs to go south," Encomio said. "But if there are going to be discharges, there's room for making sure they do the least amount of environmental damage." We came across this compelling article about the economic benefits of an oyster restoration project.We have excerpted some of the highlights of the Sara Sneath's article below. 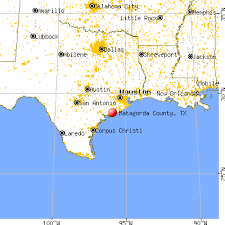 A 54-acre oyster reef built in Matagorda Bay is benefiting more than sea life. Half Moon Reef has become a fishing hot spot, adding $691,000 to the state's domestic gross product each year and creating a dozen jobs, according to a Nature Conservancy study released this month. About three years ago, the reef was dead. While there was some hard material left to build upon, there were no live oysters, said Mark Dumesnil, the associate director of coastal restoration in Texas for The Nature Conservancy. The reef was once almost 500 acres, but dredging, major changes in hydrology that altered the amount of water entering Matagorda Bay and, possibly, a hurricane left the reef defunct. In 2013, when Dumesnil and other researchers began their effort to bring the reef back to life, their main priority was to create a habitat for fish. "It's more than just the oysters," he said. "My goal was to restore it for all of the ecosystem services." Oyster reefs can help clean water, provide habitat for a huge diversity of reef-dependent sea life and help reduce the amount and prevalence of harmful algal blooms by removing nitrogen from the water. But soon Dumesnil was receiving phone calls and emails from fishing guides who were reaping benefits of their own. So, The Nature Conservancy teamed up with Texas Sea Grant to survey anglers and fishing guides to quantify the social and economic benefits of Half Moon Reef. What they found was that guides were booking more fishing trips because of the newly restored habitat, said Andrew Ropicki, a marine economist with Texas Sea Grant. Ropicki used a 2011 study by the National Marine Fisheries Service on average fishing trip expenditures to translate the additional trips by anglers into the reef's impact on the economy. He concluded that the reef generated about $1.3 million in annual economic activity. Tommy Alexander, the owner of Alexander Guide Service, said the reef has helped his business. "There have been a lot of days we went out there and limited out on trout," he said. The Texas Sea Grant surveys also found interesting details about the anglers and fishing guides who fish Half Moon Reef. These anglers tend to be the most avid fishermen, said Stuart Carlton, a healthy coastal ecosystems and social science specialist at Texas Sea Grant. When you compare the anglers who fish at Half Moon Reef to those who do not, the people who go to Half Moon Reef tend to fish more often. "It wouldn't surprise me if the more avid anglers are the ones who know about this, know how to find it, know how to fish it," he said. "Over time, it wouldn't surprise me at all if that changes." Carlton also pointed out that oyster reef restoration projects also have the potential to protect the coast from storm surges and sea level rise. "In general, in Texas, there's a lot of folks who are vulnerable to storm surge and sea level rise and the cascading effects of one on the other," he said. "That's an important consideration when thinking about any sort of project." In our quest to understand the area's coastal resources we continue to explore and inventory where time and access allows. On a recent Sunday we walked trails in Rumney Marsh and were pleasantly surprised at what we found. 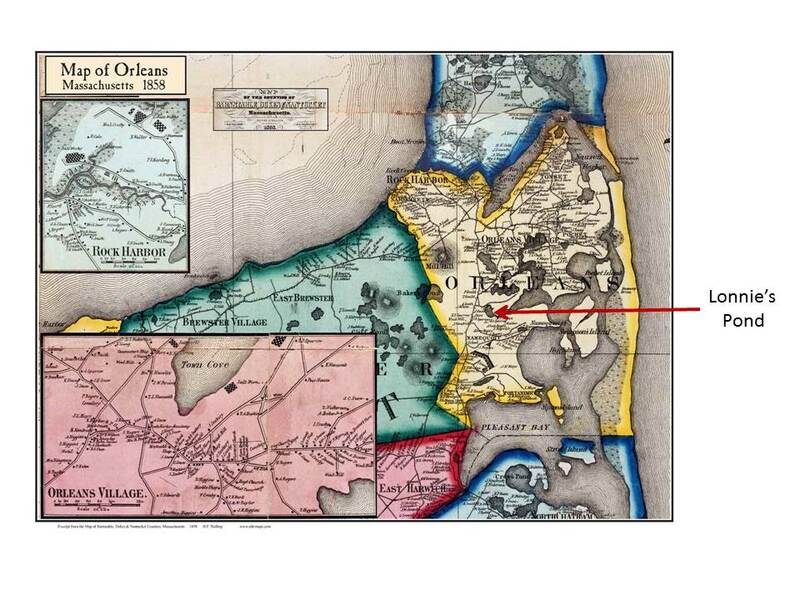 While we had driven by Rumney Marsh many times on Route 1, we had never examined it closely. At one time Route 95 was slated to run right through it, but this highway construction program was halted by Francis Sargent in 1972 in favor of mass transit solutions. 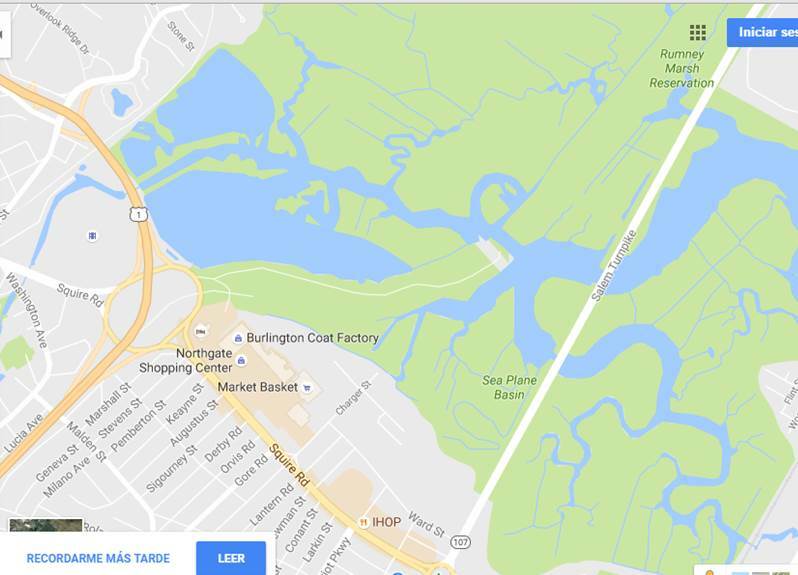 Map of Rumney Marsh Reservation on the Saugus/Revere line. We were particularly intrigued by the path that follows the old roadbed behind the Northgate Mall. While desolate and a bit creepy due to its solitude, it made for a wonderful walk and trail to explore. The entrance to the trail was at this non-assuming spot behind the Fourpoints Hotel by Sheraton. This point would have once been the location of a highway overpass if the road program was not halted. We were able to see quite a few birds of different species and even hoof prints from a deer. A swirling mass of birds in Rumney Marsh rises above some wetlands at low tide. Rumney Marsh at the edge of Route 1 at low tide. We saw no oysters or shells, although there were many small mussels on the rocks by the overpass. Two abandoned bridges where the extension of 95 would have connected with Route 1. A collection of cans and plastic debris we collected in our travels. Whenever we explore, we have learned that there is ample debris to fill several bags. Every little bit helps. If you want to learn a bit more about this wetland or possibly get involved in helping it you could explore participation through this Facebook group. The city of Virginia Beach, Virginia sits on the Lynnhaven River. The oyster population is a tiny fraction of what once was an enormous population. 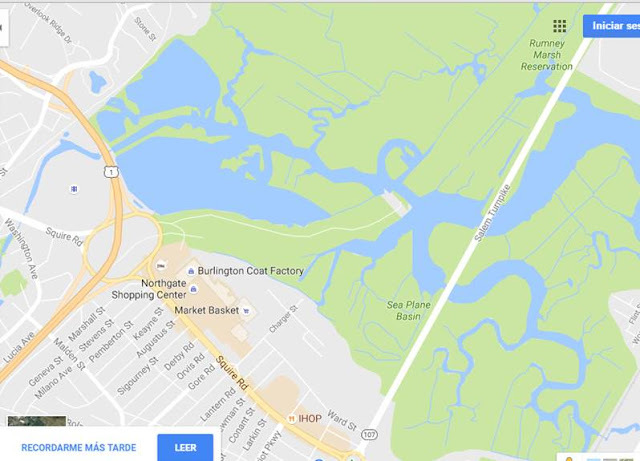 Map of Lynnhaven River Basin Virginia Beach is to the right. We have excerpted this page from the City Government's website. The oyster restoration piece is under the Environment and Sustainability Office. Increasing the local oyster population is one of the most effective ways to enhance our water quality. In addition to water quality benefit, oyster reefs provide a myriad of other environmental benefits as well. The reefs act as needed habitat for young fish and crabs, providing both a source of food and protection. "The intent of the City Council and the purpose of this ordinance are to: (1) protect existing high quality state waters; (2) prevent any increase in pollution; and (3) restore state waters to a condition or quality that will permit all reasonable public uses and will support the propagation and growth of all aquatic life, including game fish, which might reasonably be expected to inhabit them." "Proposed impervious cover in the Resource Protection Area (RPA) divided by 4, divided by 27 (cubic yards), times 15, and times $1.65 for the total amount required. 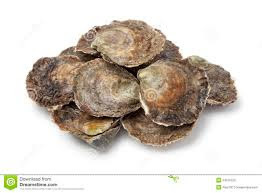 Said amount is based on 25% of the proposed impervious cover within the RPA and shall provide an equivalent oyster shell plant within the Lynnhaven River Basin approximately 12 inches deep." Any questions please contact the Department of Planning and Community Development, Environment and Sustainability Office, 757-385-4621. In the summer of 2006, Lynnhaven River NOW launched a pilot program with eight Virginia Beach restaurants, as well as public donations, to gather and recycle oyster and clam shells which were used to build Athey Island Oyster Reef in the spring of 2008. The pilot program was so successful, that it is now an ongoing program in partnership with the City of Virginia Beach. Learn more about this program and public drop-off sites. 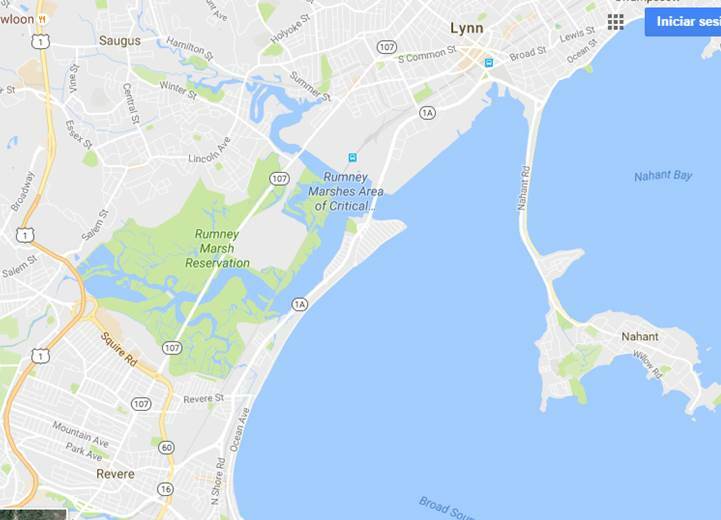 Have you wondered how you might get more involved with Lynnhaven River restoration? Oyster gardening may be just the opportunity that you have been looking for. One of the Crystal Club's primary initiatives is to facilitate and fund the construction of more sanctuary oyster reefs throughout the Crystal Lake area, thereby helping to improve water quality.